Parties are the highlight of life. It can be a great experience to just band all together and just have fun on occasions. No matter what kind of party you’re throwing, it’s always recommended that you have people to enjoy it by your side. 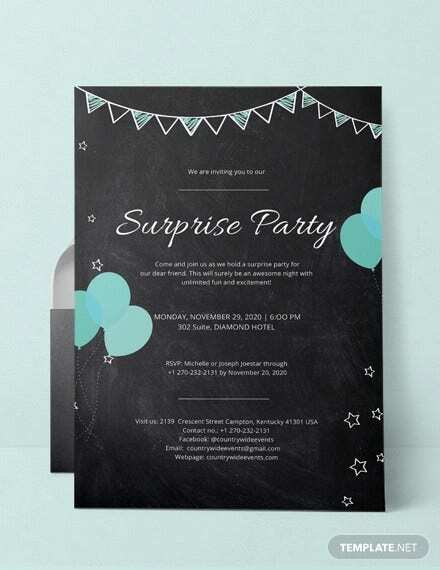 You can invite guest with a flashy party invitation to coerce them into coming into your party. 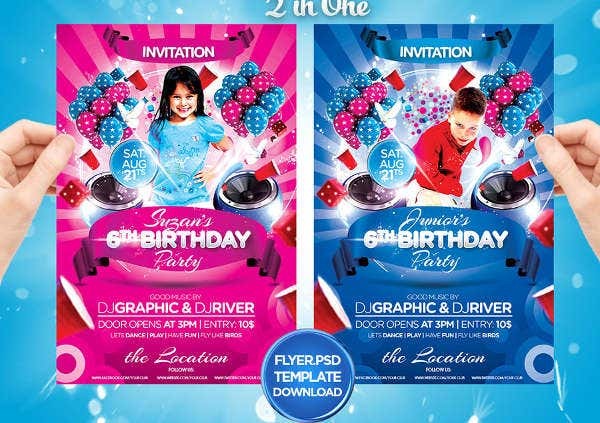 Well, with these party invitations in Photoshop document format you can send the best invitation that you can design for yourself because of how easy it is to use Photoshop, and there are lots of tutorials online. 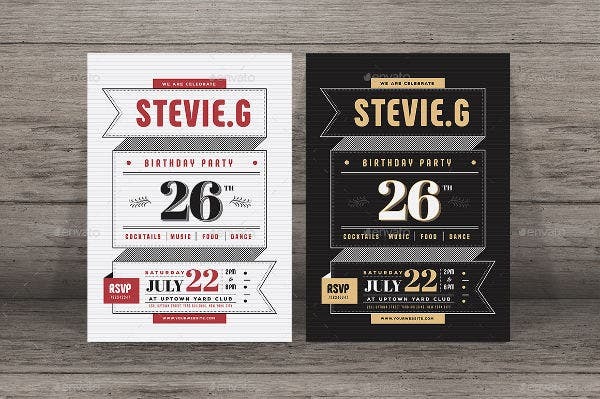 Speaking of which, if you’re interested in more invitation types, you can take a look at these invitation designs to help you customize further. 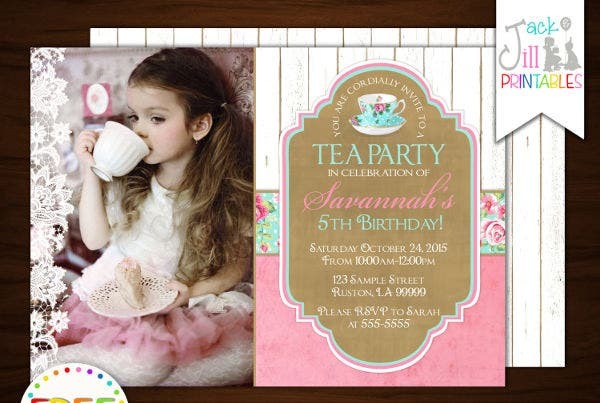 Parties are hosted for different kinds of purposes. 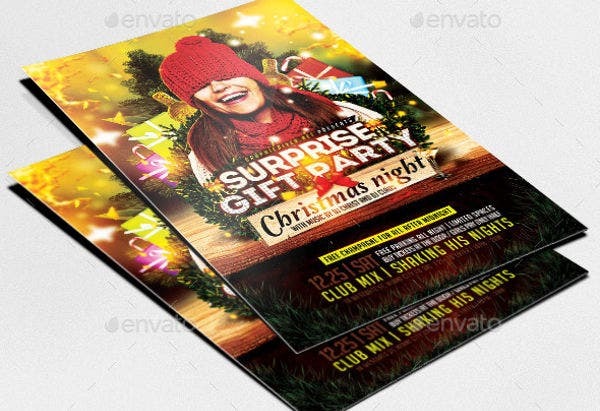 It hardly does your parties any justice if you just send the same card over and over again to your guests for every occasion. 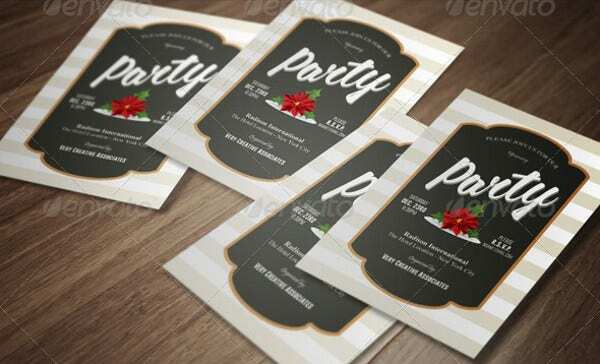 The party invitations here are offered in different variety with different themes, each depending on what the occasion you are throwing a party for. 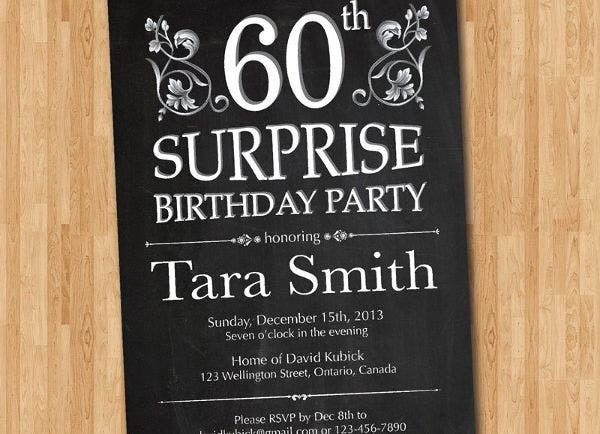 Birthday Parties – That special time of the year for someone should be celebrated with friends and family. Help someone not be lonely for on their birthdays by inviting guests over for the occasion. 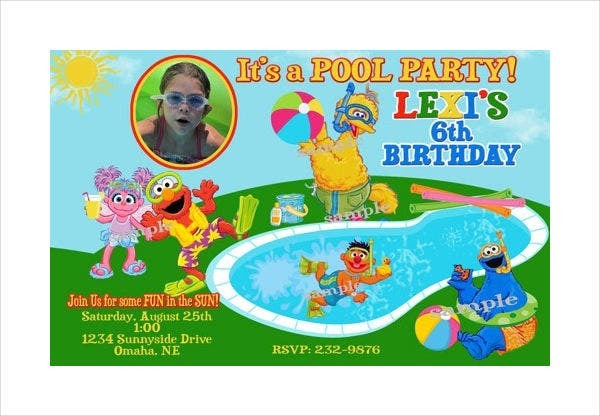 You can even decorate the invite to reflect the theme of the party that’s being thrown for the birthday celebrant. 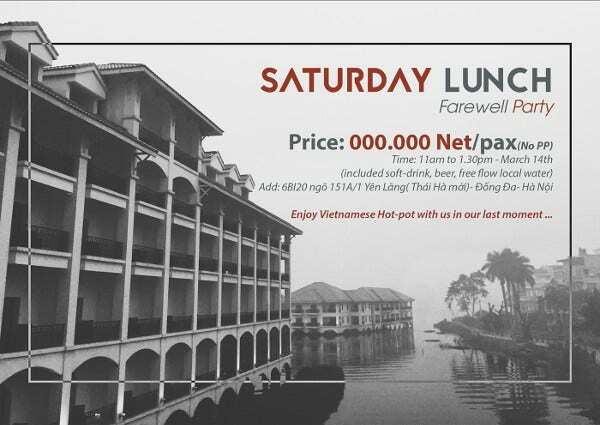 Farewell Parties – It’s always a sad occasion when you see somebody you know go. Throw them one last party in their names and invite friends over to wish them well in their journey to greener pastures. 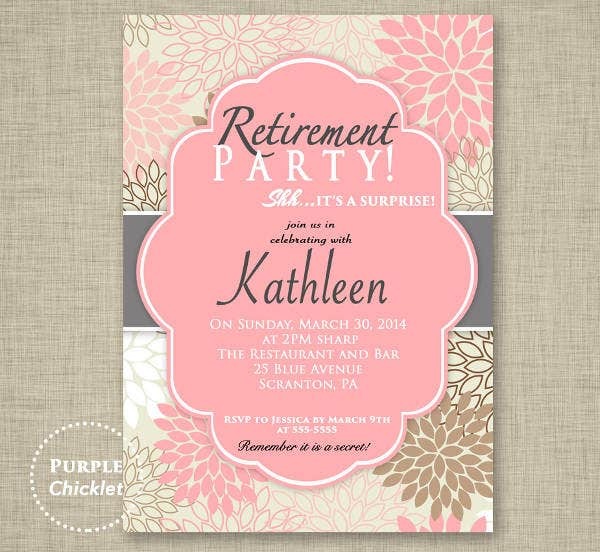 These farewell invitations can really bring the message that it may be the receiver’s last chance to say goodbye. 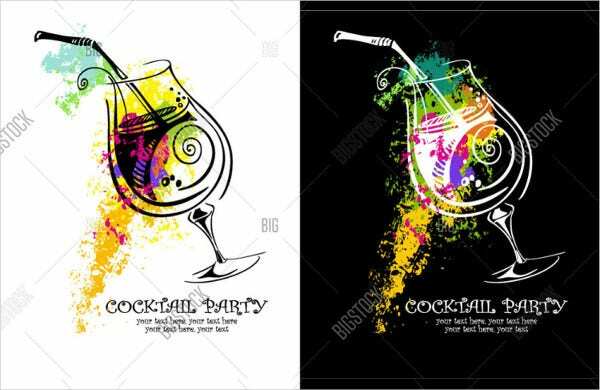 Cocktail Parties – Adults sometimes like to feel fancy. And nothing’s much fancier than a cocktail party. Parties like these are usually hosted for business purposes or for upper class folks to socialize with each other. 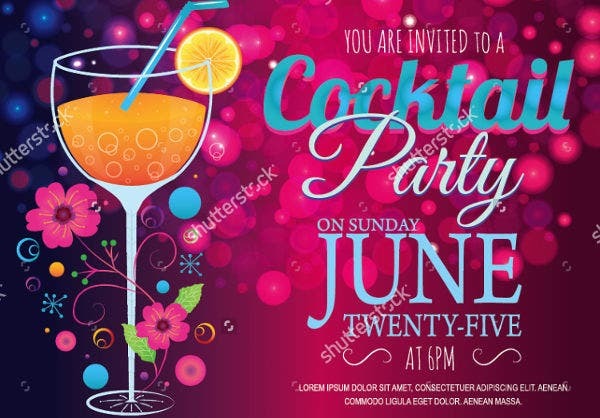 Invite your guests over in a fancy way with these cocktail party invitations. 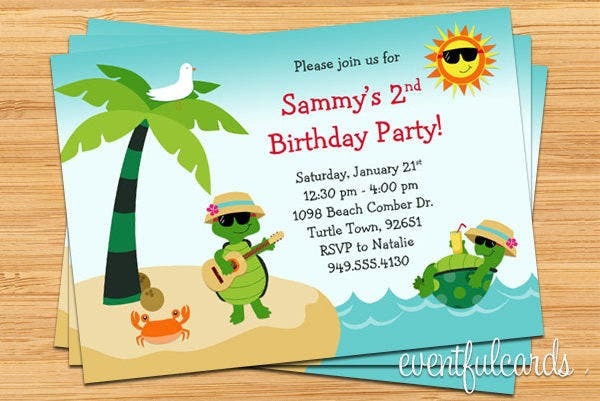 Beach Parties – Who doesn’t love a good beach party? 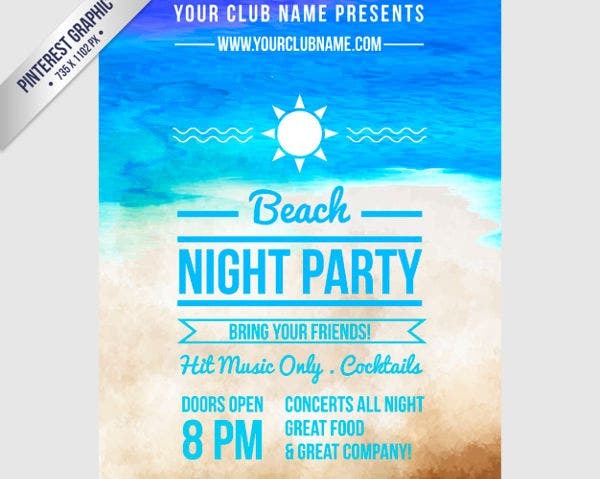 Beach parties are fun to have around many people and can be a special experience that doesn’t happen often. 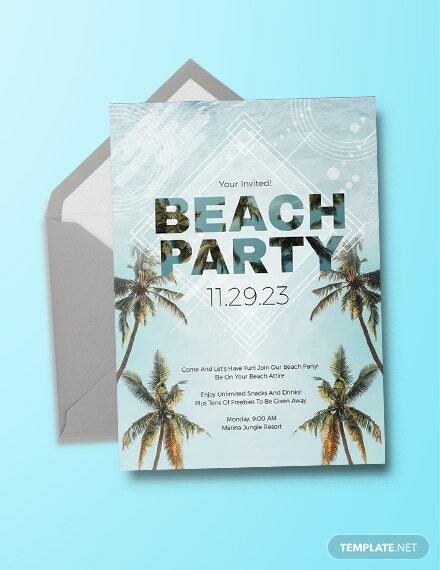 Invite guests over for a party on the beach with these invites. 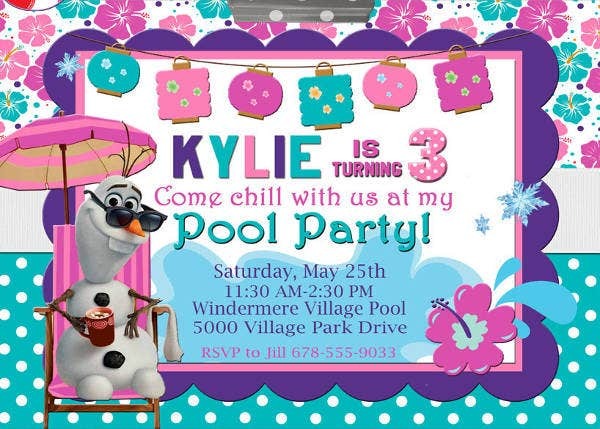 Pool Parties – It’s like beach parties, but on a much smaller scale. 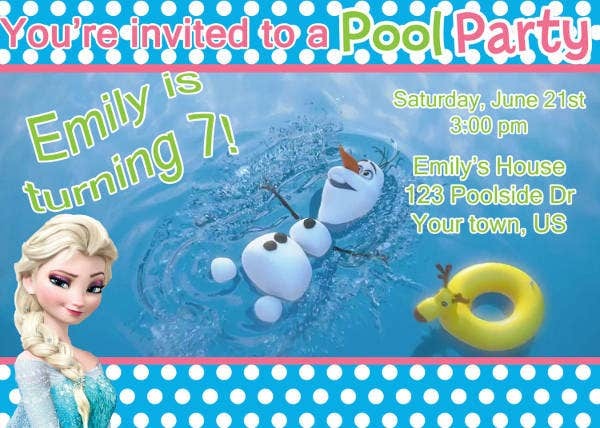 Pool parties are relatively popular around the summer. 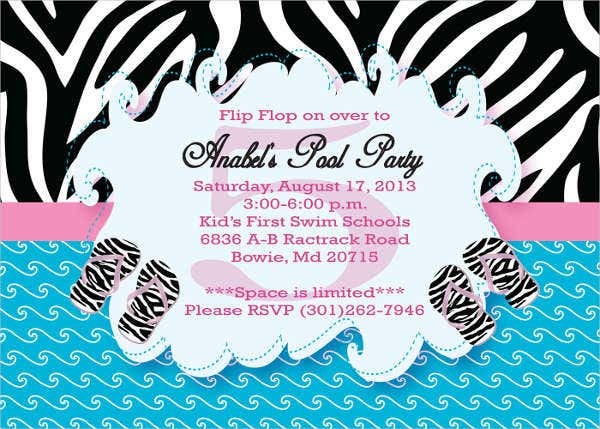 Invite guests over for a swim with these invitations. 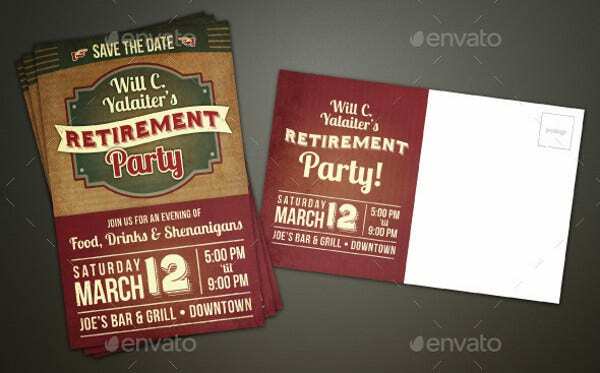 Retirement Parties – For someone to have run his course on work and now he knows that it’s finally his time to rest, then it’s reason to throw that guy one last party for making it this far. 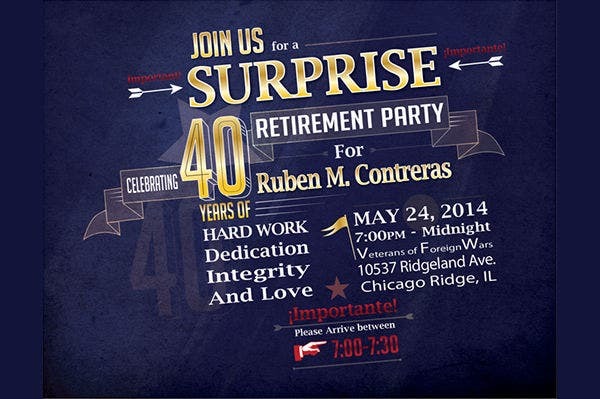 Make sure his fellow coworkers and friends know about his party by inviting them with retirement party invitations. Dinner Parties – Inviting another family over for dinner can be an extra special bonding experience. There’s nothing quite like sitting down and having dinner together. 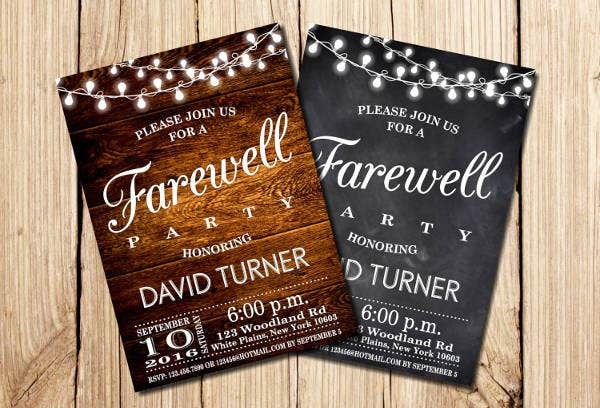 Invite another family over for a friendly family bonding dinner with a dinner party invitation specifically suited for the occasion to invite guests over. Vintage Parties – For those who want to go back. Vintage parties are usually held by those who want to experience the forties or much earlier. 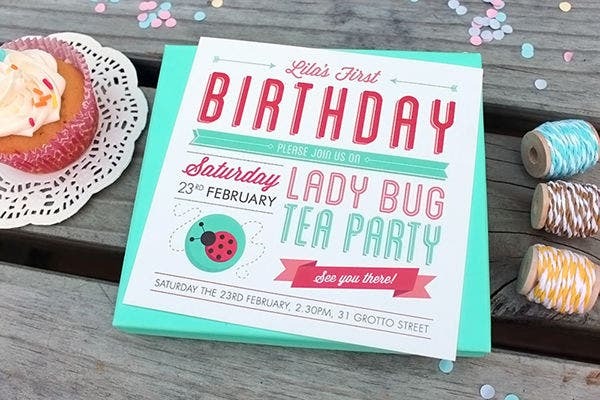 If you’d your party to have a vintage theme to it, then invite your guests over with an invitation card that reflects the occasion. Wedding Parties – In the occasion that two individuals are joined by God in holy matrimony, it is always a moment to be witnessed by friends and family members of the two. 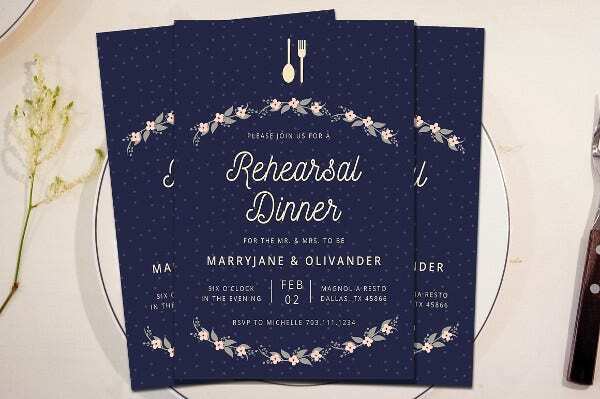 Inviting guests over for the wedding can help the occasion seem much more memorable. 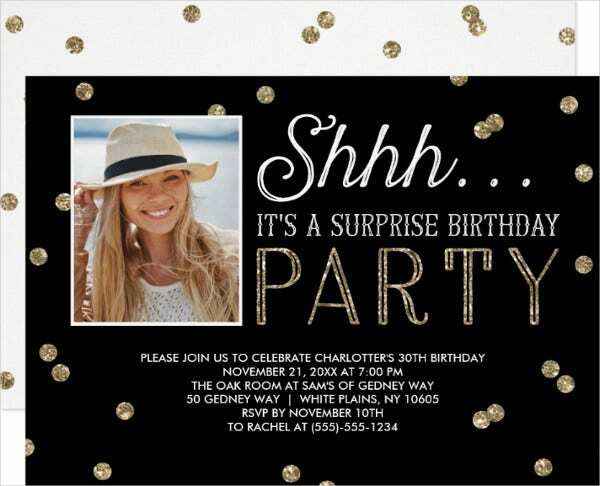 Surprise Parties – Parties don’t always need to be known. There are people out there who love surprises. 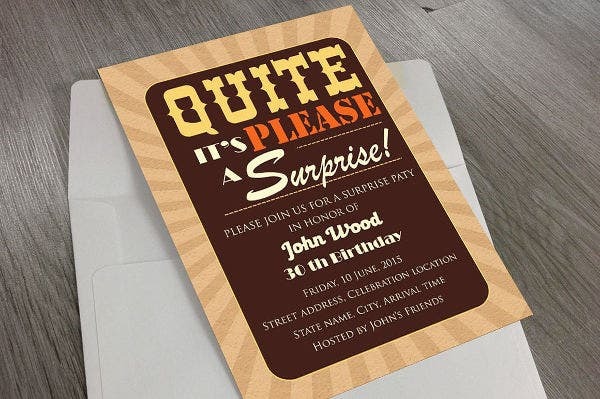 Whatever the occasion is, you can tell the guests that there’s going to be a party held for somebody who’s isn’t aware that the party will be taking place. Make sure to tell them in advance to keep it a secret from him and how to keep it a secret. 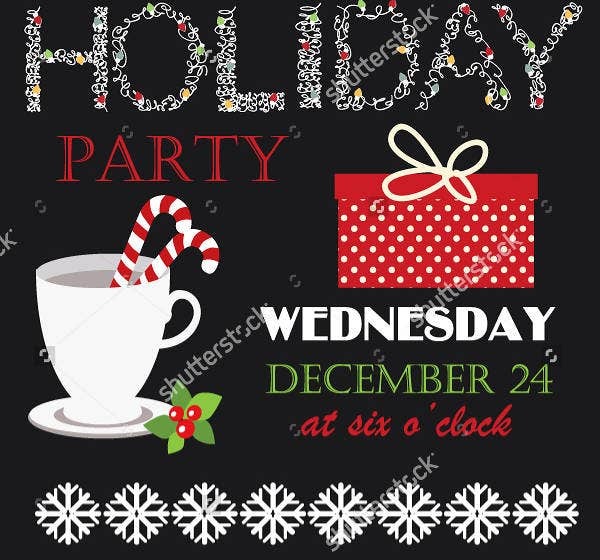 Holiday Parties – There are special times of the year when people celebrate together. 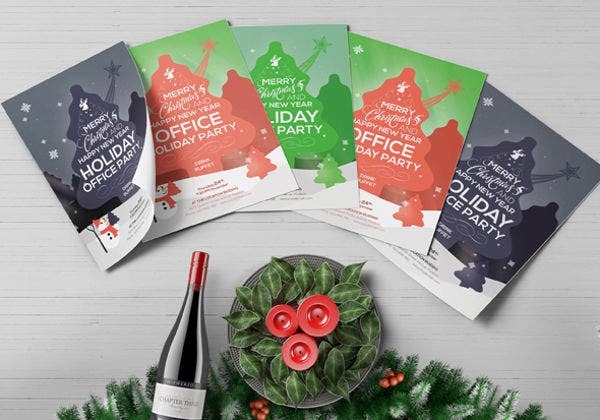 What holiday you celebrate can depend on where you live, if you’d like to invite others to spend the holiday with you, then spread the holiday spirits with a holiday invitation card that reflects the mood of the nearing holiday. 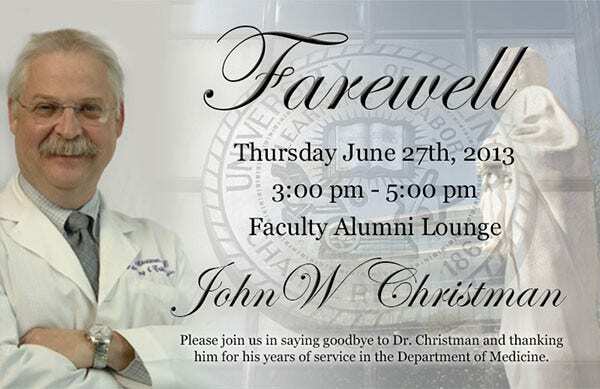 Graduation Parties – When someone finally completes his course of study, it isn’t a light accomplishment. That takes years of studying and preparing for exams. It’s time to congratulate them with a party in their names. 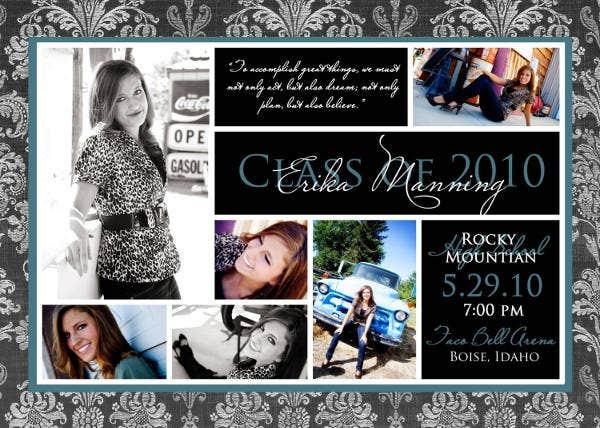 Invite their friends over for a graduation party with invites specifically made for this occasion. 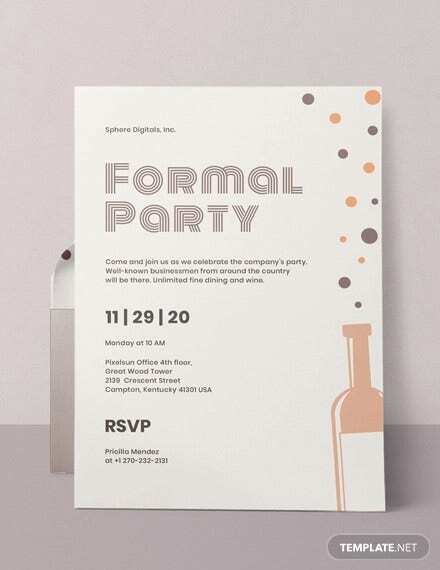 When you are sending invitations to people, make sure to make them feel welcomed to the party you are hosting. 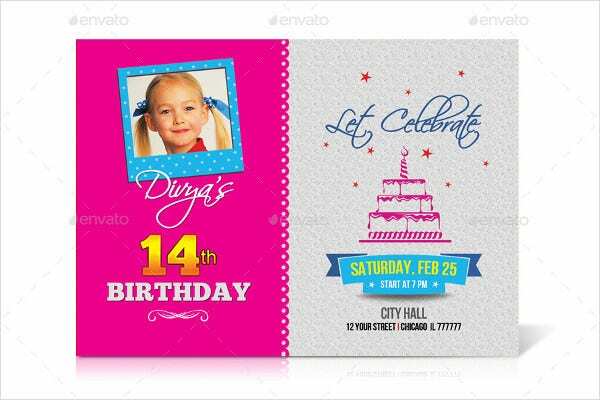 You can be doing this by making the party invitation designs feel more inviting and welcoming to those whom are receiving it. This will help coerce them into coming into your party more. 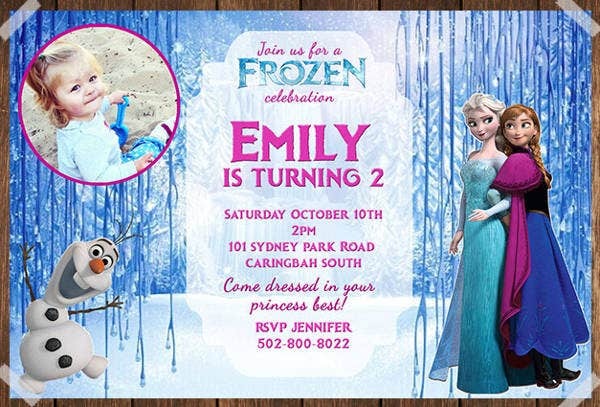 Making sure that everybody wants to join in your party whatever you are hosting it for is quite important as it will affect the overall bonding experience between the all of you. 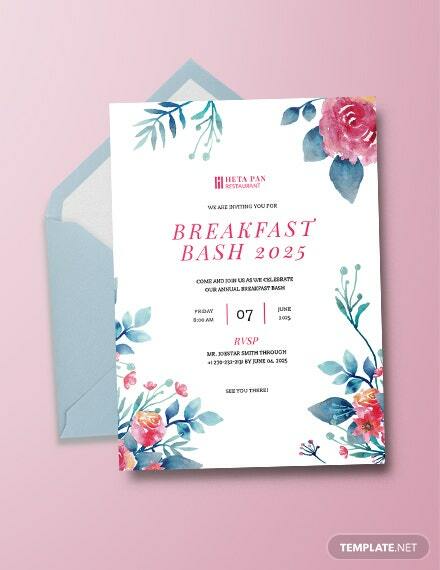 These invitations are more than just pieces of paper than serve no purpose other than notifying somebody that there’s going to be a party. 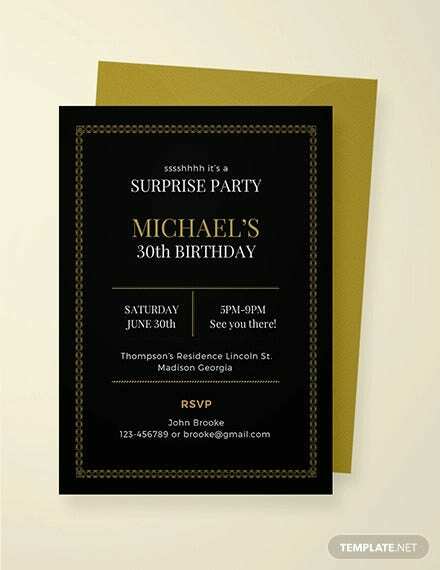 You might think that sending them an email invitation or a text message is enough to suffice, but the people you are inviting can see the effort you put into what you are inviting them in for through the invitation card itself. Think about it. 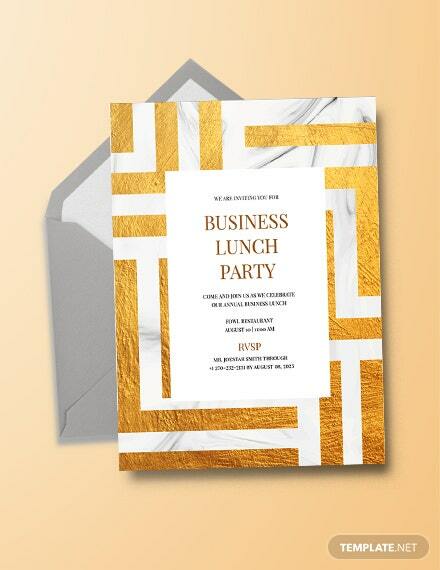 If you received an invitation that looks plain and unimpressive, chances are you’ll probably think that the party itself will reflect the effort made into the invitation sent to you. You’ll probably just make an excuse not to go to that party if you thought it was going to be boring. That’s the same thing your guests will most probably feel. 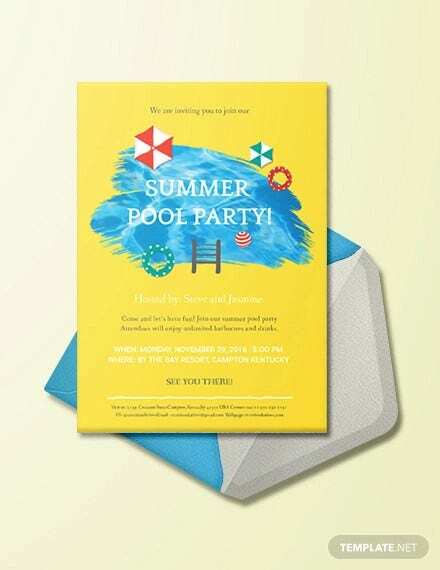 An aesthetically pleasing invitation will more likely get your more guests for your party than not so make sure to put some effort into the invites you are handing out to people. They can determine the number of guests you’ll be having for your parties. 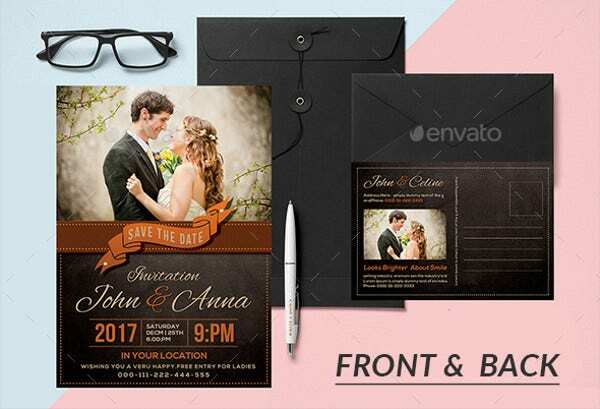 Sending out an invite can be more than just grabbing the nearest invitation that matches the theme of the party you are hosting and sending it off to your guests. 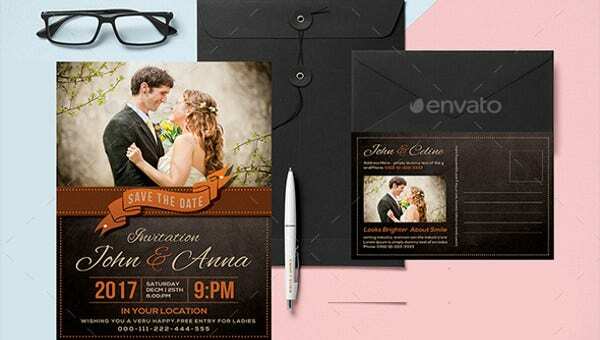 There are ways you can make your invitation feel more welcoming. 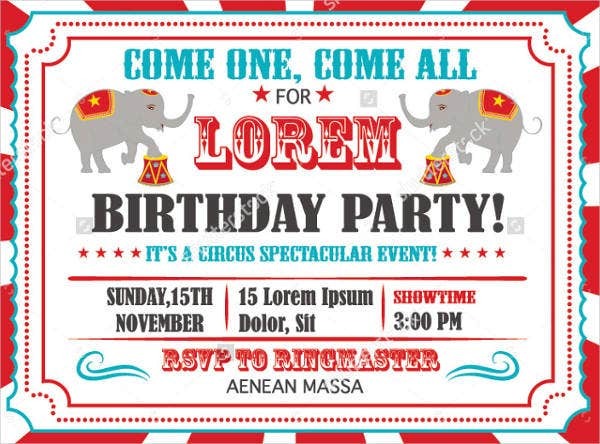 Have you ever thought about customizing your invite to make it feel more exotic and unique? 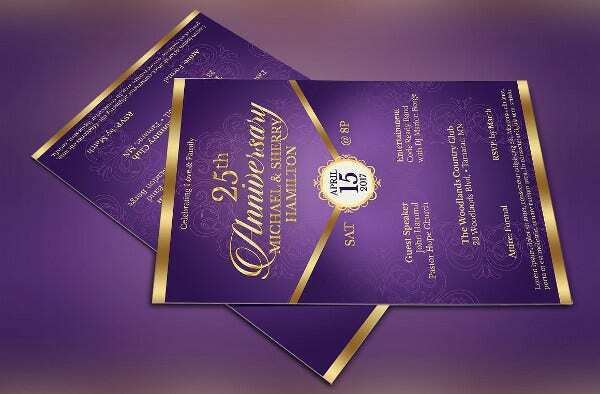 If you are hosting a party that has a specific theme to it, then having your card reflect that theme can help make the invitation feel more relevant to the party itself. This will help give your guests a more immersive experience regarding the theme of your party. 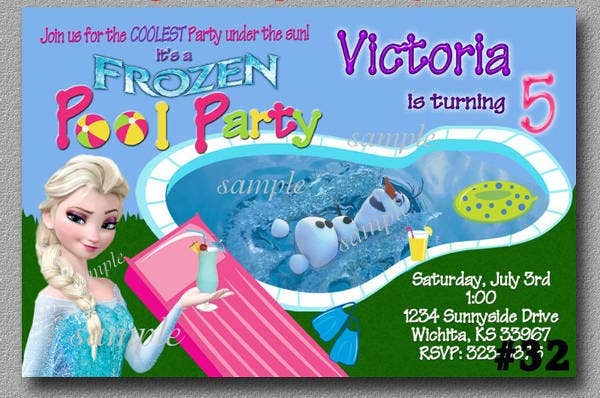 It can be quite tedious to add your own designs to the invitation you are making for the party, but it’ll be worth it. 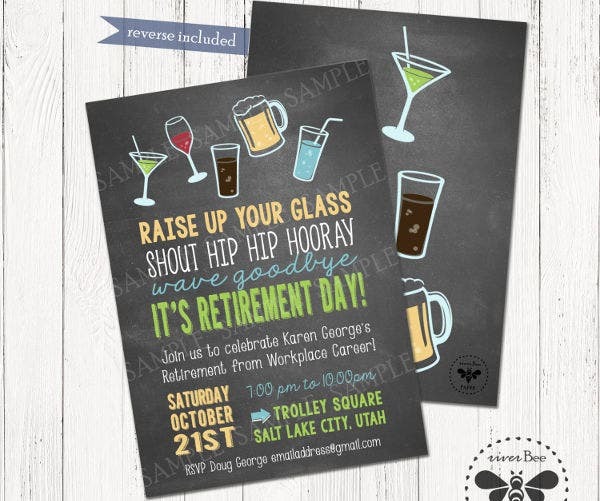 You can experiment to see if the designs you are adding to the invitations you’re sending out add to their overall image. 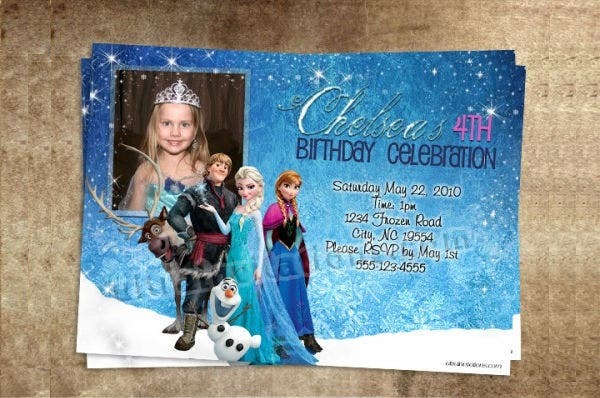 This can help your card feel so much more pleasing to the eye of your guests. The most important part to consider of the invitations you are sending out to people. 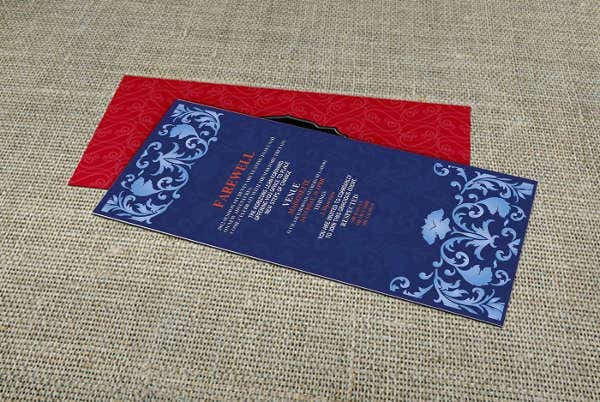 It doesn’t matter how aesthetically pleasing the design of your invitations are, if the way you deliver your invite is all wrong, then the whole invitation is a moot effort. 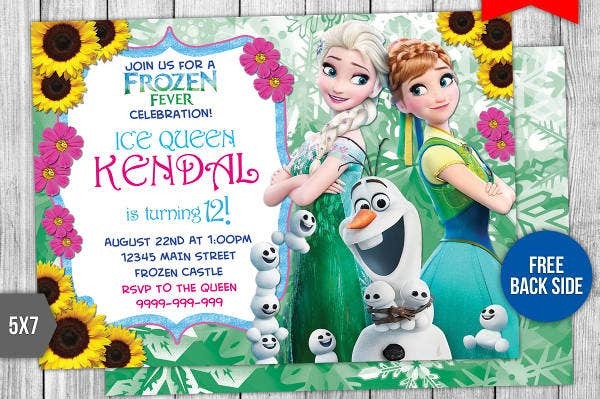 You have to remember to add important facts such as the date of the party, the time of the party, and the reason for which your party is being held. Also take care to notify your guests attending if they should bring gifts or anything else or what to wear for the occasion. 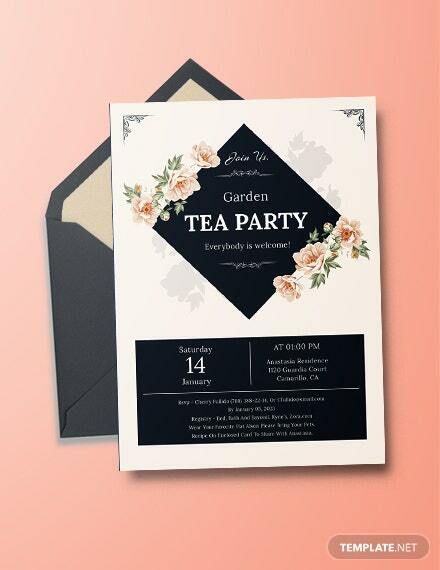 Hopefully, you found the best party invite you can give out to your guests in attendance from this list. There’s more to invitations than just a notification paper. It can help your guests get into the mood and coerce them into coming over for celebration. 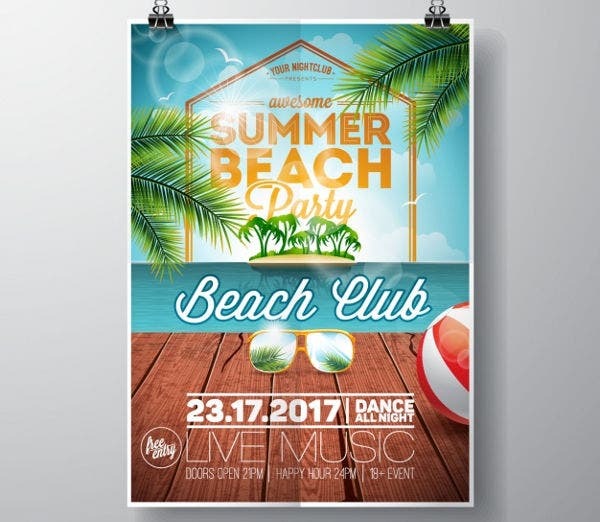 out these outdoor party banners you advertise and decorate your party venue to invite a lot more people and make your party feel more immersive for the occasion.